The next day we drove to Galveston to see how that beautiful, nostalgic city is recovering from Hurricane Ike's ravages. 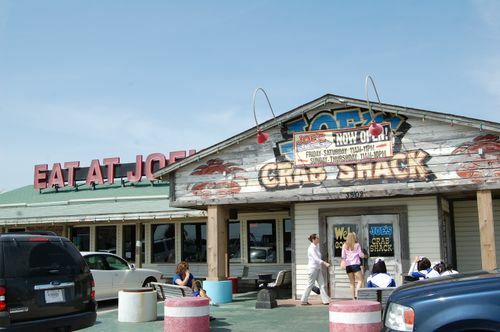 We had lunch at another Joe's Crab Shack. Although it was newly re-opened, we couldn't tell it had been repaired since that is the look of the restaurant by design. Yummy seafood!